Tim Shaffer, CTP, CIRA, is a Senior Consultant at MorrisAnderson. He has more than 26 years of experience in business and real estate finance. 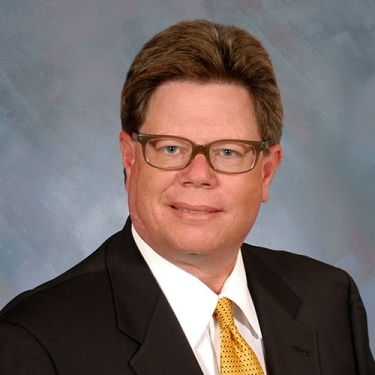 Tim served on the Board of Directors for eight years and was Program Chairman of the Arizona Chapter of the Turnaround Management Association (TMA). Tim is a Certified Turnaround Professional (CTP) and a Certified Insolvency and Restructuring Advisor (CIRA). Tim has an MBA from Arizona State University and a Bachelor’s degree in English from the University of Kansas. Tim has been retained as Chief Restructuring Officer (CRO) and Financial Advisor in multiple Chapter 11 engagements. Tim has served the complete spectrum within the bankruptcy environment, representing Chapter 11 Debtors-in-Possession, Unsecured Creditors Committees, and Chapter 11 and Chapter 7 Trustees. Also, he has been appointed as a Chapter 11 Trustee in the US District of Arizona. Tim has expertise in the following industries: on-line marketplace sales, real estate, (development and finance), distribution, the oil and gas industry (E&P), middle market broadcast media, and sales focused enterprises, including business services companies. Currently serving Chapter 11 Trustee for Potential Dynamix, LLC, an internet based retail seller, including adversary litigation between the company and Amazon. Currently serving as Receiver for Dunlap Oil, LLC. Currently serving as CRO for a Chapter 11 debtor focused on mobile temporary housing. Currently serving as Receiver for medical office real estate developer. Served as CRO for a Chapter 11 neurological medical group. Served as Liquidating Trustee for of a medical office real estate developer, charged with the stabilization and value enhancement of multiple properties for eventual liquidation for the benefit of various stakeholders. Served as CRO for an Oil & Gas Service Company, providing environmental waste disposal. Served as CRO for a Receiver of a retail wholesale vitamin retailer with 17 locations resulting in the closing of 11 stores and a “going concern” sale of the remaining store locations. Served as CRO for a coal bed methane exploration and production company serving as General Partner for 17 partnerships with 1,500+ limited partners and operating 450 wells. Served as Chapter 11 Trustee of JS Vascular, LLC., a corporate Debtor developing medical device technology in the vascular field.